Parallel to his training as a trio in "Johnny Big Stone & the Blues Workers", Johnny "Big Stone" is also part of the trio "Johnny Perez Trio" where they perform tributes to Stevie Ray Vaughan being one of the most promising national blues bands by its power in the purest Vaughan style. 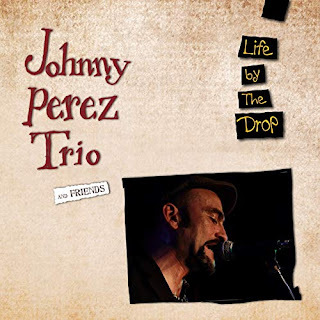 The origin of the formation of Johnny "Big Stone", one of the most powerful and overwhelming guitarists of the blues scene of Barcelona in recent years, as a trio we find in the "Johnny Perez trio" formation with Miki Santamaría on bass and Xavi Tomás on drums that in 2007 released the album titled "Life By The Drop" with the collaboration of some good musicians of the blues scene of Barcelona. In this first work it is observed that their influences are directly inherited from Stevie Ray Vaughan whom they honor along the disc in songs like "Empty Arms", "Rude Mood" or "Honey Bee", but also in "The Things That I" Used To Do "by Guitar Slim," All Your Love "by Otis Rush," The Sky Is Crying "by Elmore James and the splendid version of the classic" Tin Pan Alley ". In short, thirteen good songs of power-blues by Johnny Perez, Miki and Xavi Tomás and with the collaboration of other musicians. In their career they have collaborated with Carlos Segarra, have shared the stage with Barrelhouse Chuck, Maceo Parker, Hook Herrera or Raimundo Amador in the Blues Festival of Cazorla among others.